A helicopter crash June 17 in Bahia serves to remind us just how hybrid –or schizophrenic, if you like– Brazilian politics can be. Sometimes, it seems that Rio has arrived in the modern world of transparency, accountability, performance and merit, leaving behind the dominions of fiscal subterfuge, personal connection, favoritism and favor trading. Under the leadership of Governor Sérgio Cabral, in March 2010 Rio de Janeiro state obtained investment grade rating from Standard & Poor by reducing bureaucracy, professionalizing tax collection and streamlining the state’s finances. With the 2008 implementation of Cabral’s “police pacification units” public safety policy, crime has fallen significantly and continues to drop. The governor is a dedicated ambassador of Rio’s interests at the federal level: a year ago, he wept over a vote by the lower house of congress to redistribute petroleum royalties that had heretofore been solely Rio’s. He’s also kept an open dialogue with city government. Last month the Brazilian press at first headlined the death of Cabral’s son’s girlfriend, along with six others, in the helicopter crash of a group en route to a resort in southern Bahia. But it turned out later that the governor himself was part of the group, alive only because the helicopter couldn’t carry everyone in a single trip. And the composition of the group (as well as the loan of energy mogul Eike Batista’s jet to get to Bahia) laid bare Cabral’s friendship with people who have big business in Rio. And tax cuts. This came in the midst of a long and angry strike by Rio state firemen, whom Cabral called “vandals” after several hundred of them occupied their headquarters . The strike has since been all but settled, with pay raises and the amnesty of about 400 arrested firemen. After taking a week off (cariocas in the know say Cabral, reportedly separated from his wife, lost his own girlfriend in the crash), the governor said he’d been wrong to use the word “vandals” and that he’d like to help build an ethics code for himself. Unsuprisingly, there already is one. For most Brazilians, Cabral’s behavior is no surprise. From past experience, they’ve learned to expect elected officials to wallow in conflict of interest. Still, given the current climate of crime reduction (plus increased perception of security) and booming investment, his constant travel and questionable associations may cast a longer shadow than the usual dodgy politics. Or not. After all, this is just the start of Cabral’s second (and by law, last) term– to which he was elected in the first round of voting, thanks to increased security, with an overwhelming 66% of the total– and he has no declared political ambitions for the future. No matter what’s up with the governor, life goes on. Many of his appointees are achieving results and thinking ahead, as this unpublished interview with State Public Safety Secretary José Mariano Beltrame indicates. The police must now bring crime down further, he said, with increased police presence, improved technology and training, and a continued fight against corruption. Governor Cabral’s municipal partner, mayor Eduardo Paes, also comes under attack from cariocas who doubt his integrity and particularly dislike his choque de ordem cleanup and removal tactics. And yet the city too — with 110,000 public servants and a budget of about US$ 12.5 billion equivalent– boasts some very positive achievements under his aegis. Using systems developed by IBM and Cisco, a new Operations Center opened six months ago in the Cidade Nova section of downtown Rio. It’s one of several government buildings that are helping to revitalize the area, traditionally known for its prostitutes and proximity to the Carnival parade’s Sambadrome (the “new” in the name Cidade Nova dates back to early 20th century, when poor residents were transferred there during Rio’s first urban renewal). 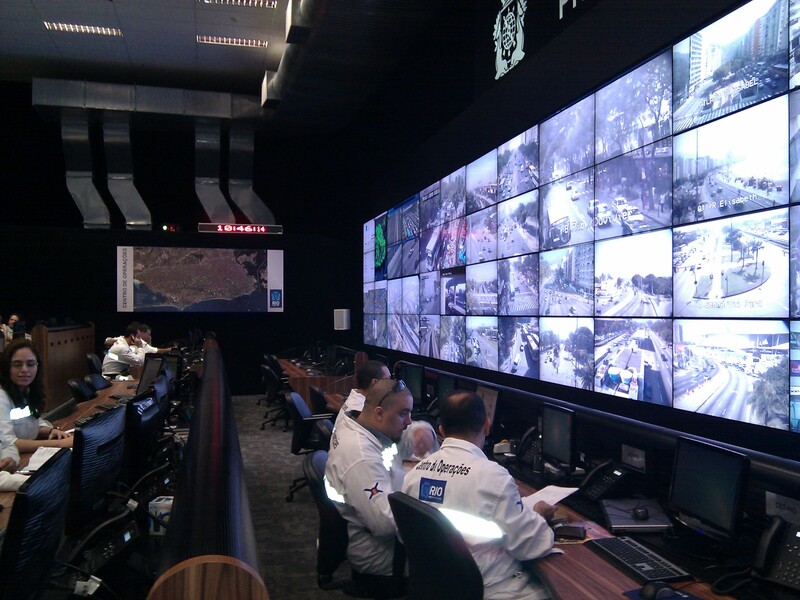 A visit last week to the new Centro de Operações brought nothing less than NASA to mind, as officials demonstrated how the information hub brings a gamut of government agencies together to deal with daily occurences, crises, and large-scale events such as New Year’s Eve and Carnival. In addition to the 2016 Olympic Games and some of the 2014 World Soccer Cup games, Rio will also host this month’s Military World Games, Rock in Rio this September and October, and next year, the Rio + 20 UN meeting among 150 heads of state. 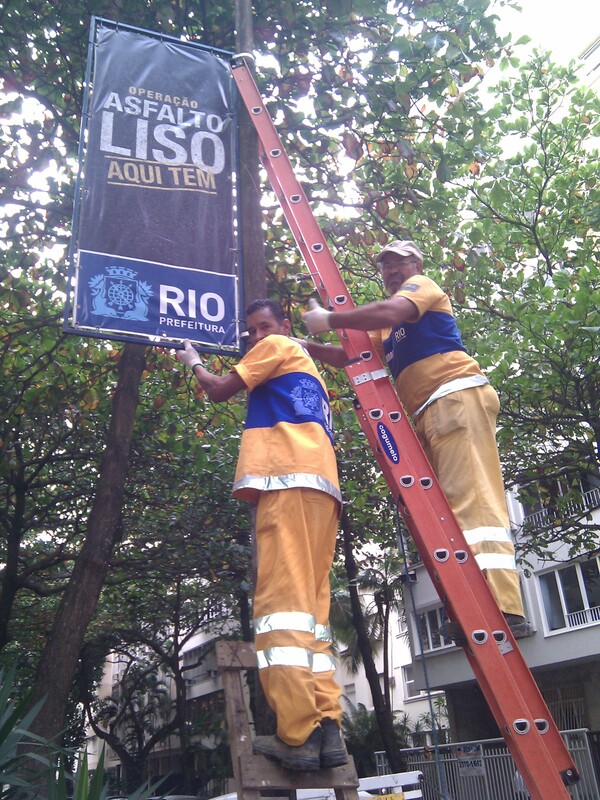 The Center uses a brand-new weather forecasting system to improve municipal response to the tropical storms that plague Rio and could paralyze any of these events. 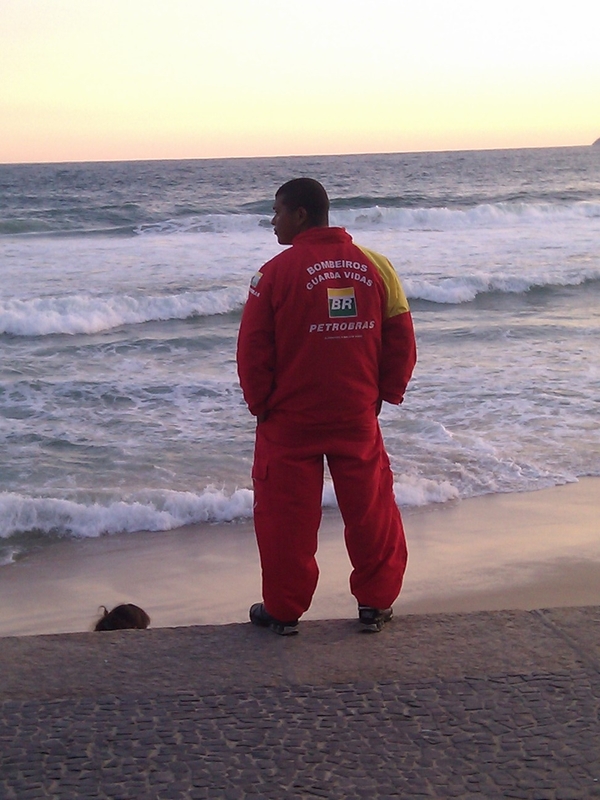 Residents who live in risky areas are also being removed and/or trained. Previously, it was difficult for city agencies to work in concert, plan, set goals, measure results, or simply share information. In the unfortunate event that the lights go out anywhere in the city, officials can now immediately access what schools are affected, plus the names and telephone numbers of their principals– and take adequate steps. The only crisis the new Center has dealt with so far was the April Realengo school shooting; mapped hospital beds and equipment speeded up response, technicians say. 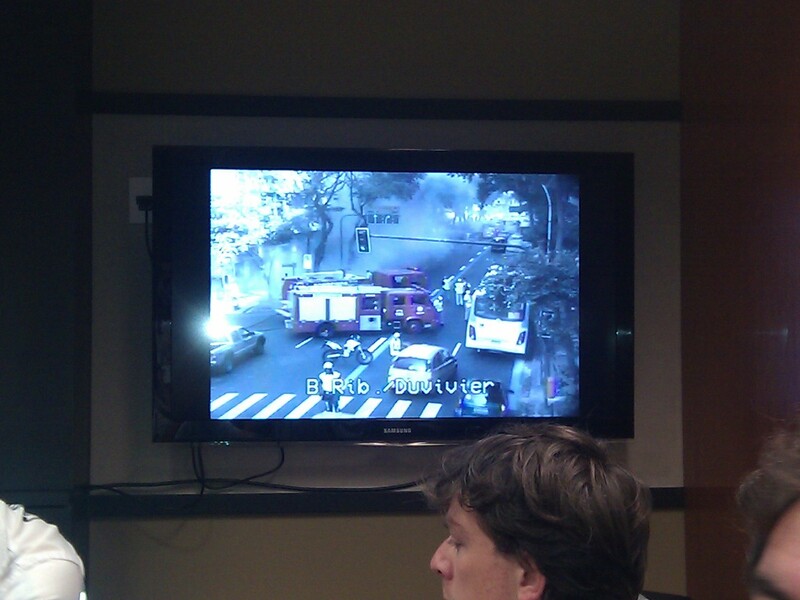 To keep up with the goings-on of the Operations Center, anyone may follow @OperacoesRio, on Twitter. Cariocas used to have 67 telephone numbers they could call–and rarely did– to report potholes, trash, darkened streetlamps, and the like. 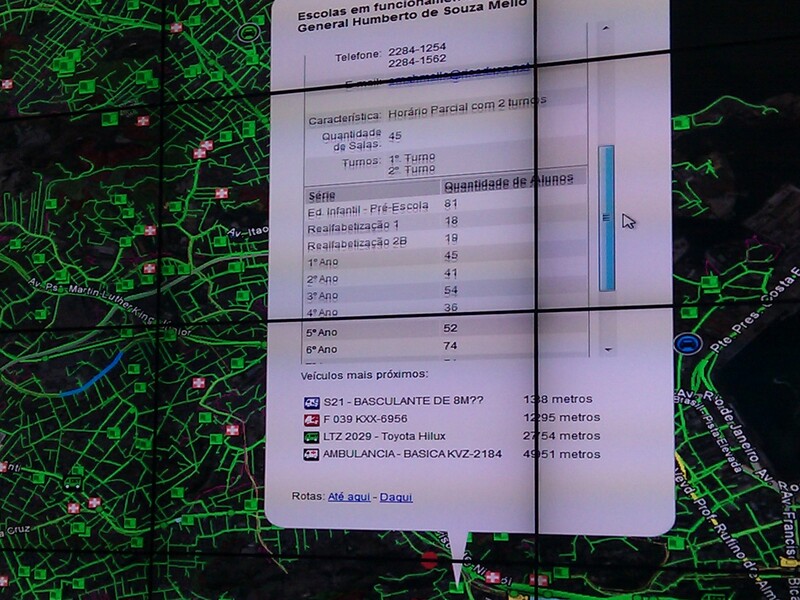 Now they can call or download an application to contact the new 1746 (1-RIO) call center, and even upload photos. 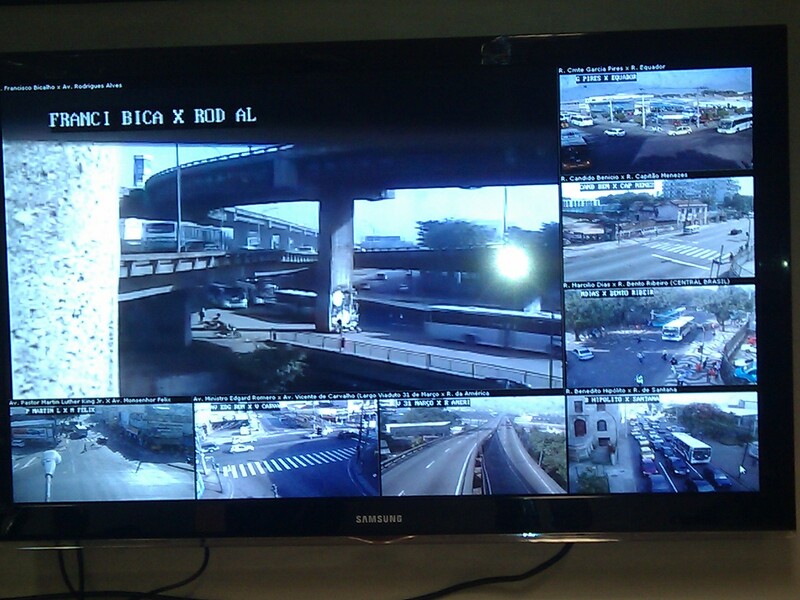 Soon, they will also be able to access street cameras and plan transportation routes accordingly. In so many ways, Rio truly has arrived in the modern age. Perhaps all that’s missing is a code of conduct– or at least one that politicians acknowledge. 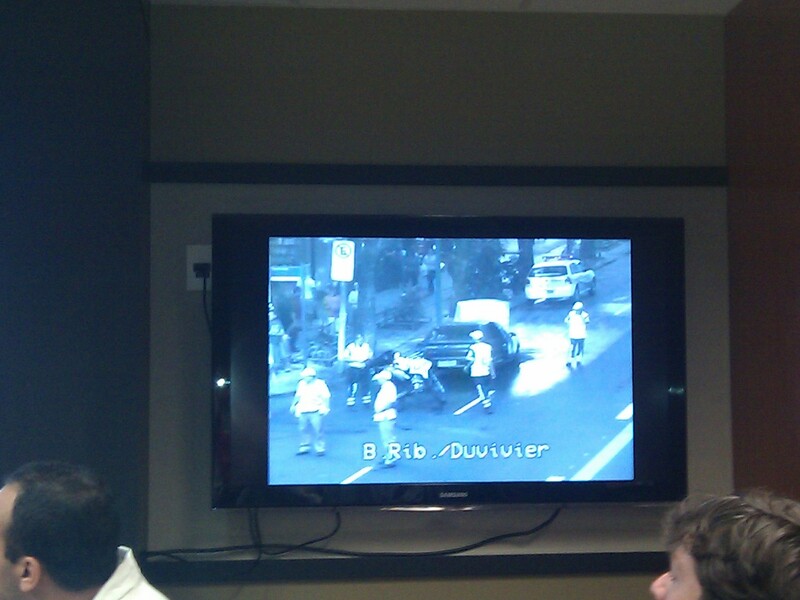 Meanwhile, here’s an official video with English subtitles, about Rio’s Operations Center. This entry was posted in Brazil, Transformation of Rio de Janeiro / Transformação do Rio de Janeiro and tagged 2016 Olympics, Cidade Nova, code of conduct Brazilian politicians, crime Rio de Janeiro, Eduardo Paes, Eike Batista, José Mariano Beltrame, pacification Rio de Janeiro, public safety Rio de Janeiro, Rio de Janeiro Operations Center, Rio de Janeiro revitalization, Rio firemen strike, Sérgio Cabral, UPP. Bookmark the permalink. 3 Responses to Where’s the governor? My husband wasn’t bothered by the “borrowed” helicopter, as long as his money wasn’t being used to fly girlfriends and such places. Honestly, he expects trades to happen. As you said, it’s nothing new. Great article! I’m excited to have found your blog! For citizens to demand something like a code of conduct may be too much for the city and state governments under the rising tide of business interests. One hopes the governor can provide perspective on all that is expected of governments and manage accordingly. In any context, the governor will hopefully remember he is but a servant of the public good and not a tool of the special interests and their money.